"Children are the true connoisseurs. What’s precious to them has no price – only value." Our Summer Camp is a 6-week all-day camp program from 9:30 AM to 2:30 PM beginning on the first Monday after the school year ends (closed July 4), and is also open to the general public. 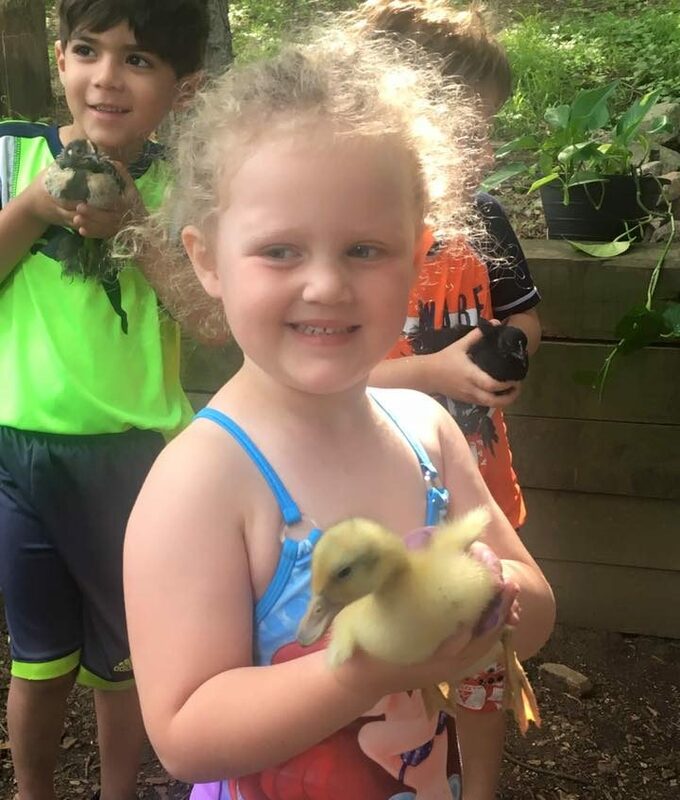 Engaging and enriching outdoor activities include, but are not limited to, sensory exploration (water and sand), nature, woodworking, arts & crafts, and cooking over a wood fire, with increased opportunities for water play during hot weather, and an occasional field trip or two to Miss Betty's Day Camp in Chester Springs to play in Pickering Creek. For children currently enrolled at Charlestown Playhouse, the Full Session discounted price is $1060, the daily option is $40/day. For children not enrolled at Charlestown Playhouse the Full Session discounted price is $1350, the daily option is $50/day. Children must be age-eligible for the current school year to attend summer camp. Campers must be fully potty trained to be eligible for Full Sessions. Campers who are not potty trained are eligible for Daily Sessions with pre-approval.